The Ocean Technology Lab’s (UVic) Bluefin AUV has been retrofitted with a suite of instruments to support science experiments in Saanich Inlet (and beyond). In the image, the vehicle is in a test tank at the UVic’s Marine Technology Centre (MTC), undergoing a ballasting exercise and general readiness testing on Dec. 14, 2012. 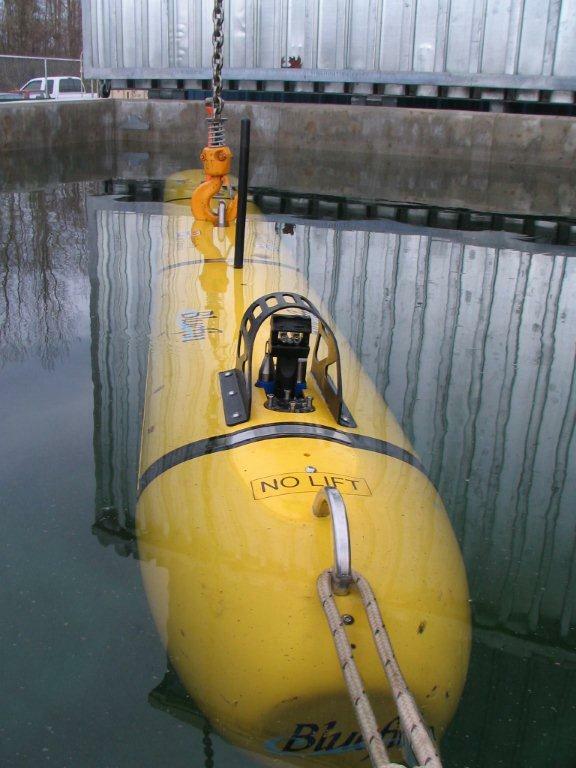 AUV missions in Saanich Inlet will begin early in 2013.